Invasive fat reduction procedures, such as liposuction, typically carry certain surgical risks and are associated with significant post-treatment recovery downtime. Even newer, minimally-invasive techniques are still surgical procedures. 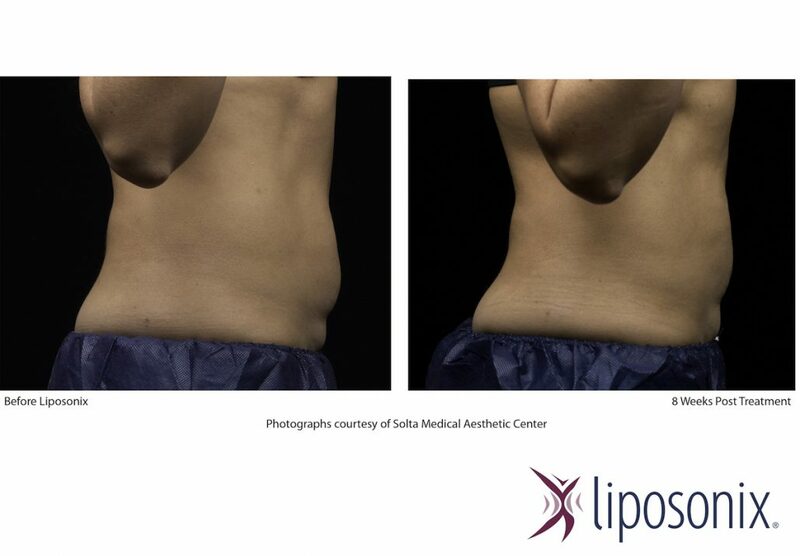 Unlike these types of surgical fat reduction procedures, the Liposonix® treatment is non-invasive and patients typically resume normal activities immediately after the procedure. Patients come in all shapes and sizes, and so does their fat. Other non-invasive body contouring devices can be limited in their ability to treat certain areas of fat and may require several hours and/or multiple treatment sessions to adequately address problem areas. The Liposonix® system is highly versatile, allowing control over precisely how and where energy is delivered, for a truly customized treatment in a single one-hour* session. With many other non-invasive fat reduction technologies, such as radiofrequency and lasers, energy is highly absorbed or scattered near the skin surface, thereby limiting penetration into subcutaneous fat tissue and delivering only temporary results. Ultrasound energy, on the other hand, can be used to penetrate through the skin layers and into the targeted fat tissue without harming skin or surrounding tissues. Other ultrasound body contouring technologies often use low-intensity, low-frequency, or unfocused energy which can require multiple treatments and lead to unpredictable results. The Liposonix® system uses high-intensity focused ultrasound energy to non-invasively destroy targeted subcutaneous fat and deliver uniform, predictable results after a single one-hour* treatment. 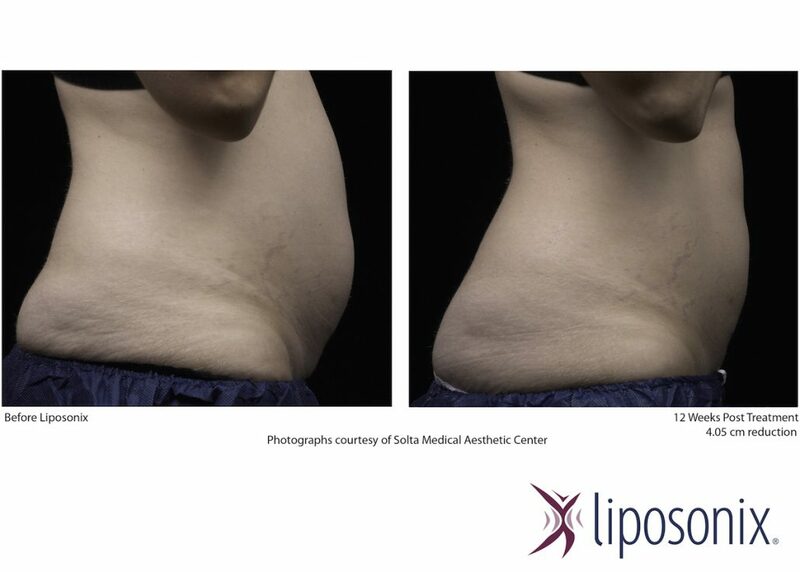 What Can Liposonix® Do For You? 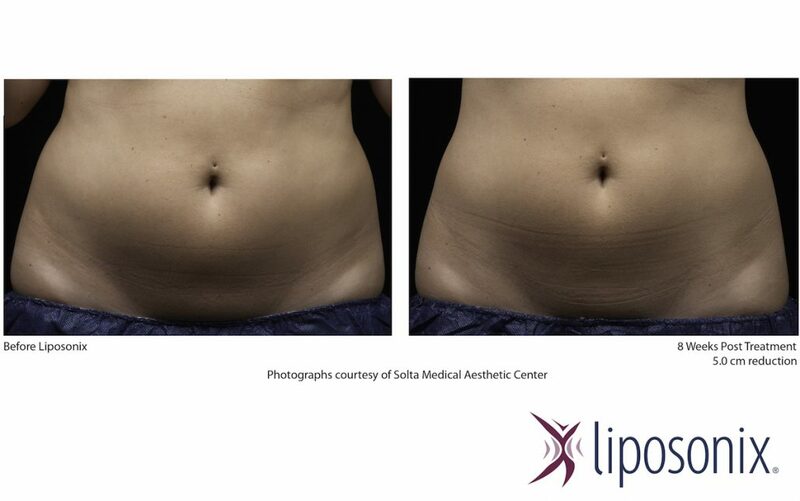 If you’re close to your ideal shape, but need a little help getting there, Liposonix® may be for you. Liposonix® treatments use high-intensity focused ultrasound to non-invasively get rid of targeted fat around your waistline (abdomen and love handles) without surgery. Results are typically seen in 8 to 12 weeks* (which is the time needed for the body to naturally process the treated fat). *Individual results and treatment sessions may vary. Our licensed practitioner can answer any questions you might have about Liposonix®, contact us today. Liposonix® is not liposuction or surgery, is not a replacement for a healthy lifestyle and exercise, and is not a way to lose weight. But it can be a quick, easy way to help you slim down and hit your personal shape goals. *Disclaimer: Individual results and treatment sessions may vary. Confirm Information with Other Sources and Your Doctor: You are encouraged to confer with your doctor with regard to information contained on or through this Web site. After reading articles or other Content from this Web site, you are encouraged to review the information carefully with your professional healthcare provider.